Another first-person sandbox shooter, Borderlands made waves already during its gestation due to an eye-catching change of the game’s art style during its development. Sporting a look that’s somewhere between comic book and cel shading, the game went on to become a surprise hit, having sold more than two million copies on PlayStation 3 and Xbox 360 since its release. To craft a soundtrack that complemented the individuality of the game’s visual design, a high profile composer team, consisting of Borderlands’ audio director, Raison Varner, and contractors Jesper Kyd, Sascha Dikiciyan and Cris Velasco, was assembled. 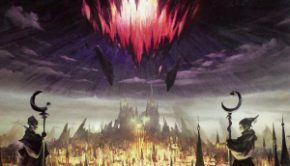 According to Varner, the composers were going for a sound that was unique and fresh, and would serve to underscore the game’s dark and violent universe. So, basing our judgement on the game’s soundtrack release, which contains all the music that was written for Borderlands, plus some unused tracks. How successful were these artists in achieving their goal? 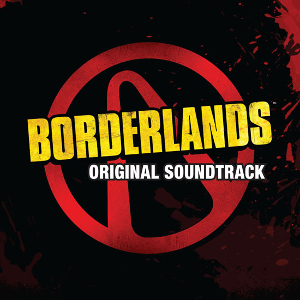 While the composing team behind Borderlands may have been pushing for a musical style that sets it apart from the vast number of other game soundtracks out there, the question remains how the Borderlands‘ soundtrack responds to the fact that the game takes place in one of those barren, futuristic wastelands (albeit presented with some graphic twists) that have become common place in films and pop culture in general since the Mad Max movies, and which sport their fair share of visual and acoustic stereotypes? Borderlands‘ score addresses this problem by providing an eclectic mix of different musical styles, successfully melded into one convincingly coherent whole, but whose parts are hardly unique or supremely original. Broadly speaking, the soundtrack mixes electric guitars (distorted in manifold ways), heavy electronic beats, atmospheric synth pads, ethnic percussion and other world instruments to musically portray the world of Borderlands. However, taken on their own, these elements are all well-known: representing a game’s baddies through aggressive, distorted electric guitars is hardly ground breaking, pulsating electronic beats have been a staple in game music for ages, and using ethnic instruments — particularly from the Middle East — to represent the alien nature of a particular place has only taken about 10 years to become a movie scoring cliché (blame Gladiator). Still, when combined as skillfully as they are through most of this soundtrack, these elements make for some intriguingly layered compositions — but they also result in some rather generic tracks when applied with less talent or effort. The composers and particularly Raison Varner — as the game’s audio director — are to be complemented on creating a score that, despite the many creative minds involved, maintains a good balance between letting each composers’ individual style shine through, while remaining sufficiently coherent. Jesper Kyd, responsible for scoring Borderlands‘ large areas that the gamer spends most time exploring, opens the soundtrack with two compositions that effectively set the scene and are among the soundtrack’s most atmospheric cues. “Prelude” starts out with a soft, spacious synth pad, which is soon joined by a middle-eastern sounding woodwind instrument, playing a plaintive melody. The track picks up steam when ethnic hand drums join in and soon, the music’s driven forward by an interesting mixture of ethnic and electronic percussion, which communicates the exoticness of the game’s location and the way in which Borderlands’ world is presented well (at least to Western ears). While Kyd’s contributions to the soundtrack — unfortunately — are only a few, they’re indicative of what the listener should expect of Borderlands’ soundtrack: music of a mostly dark ambient nature, which effectively paints an image of the game’s location, and which elicits interest mainly through its textures, not so much through its structure or memorable melodies. And certainly, this approach is perfectly valid and yields remarkable results, as seen in Kyd’s introductory compositions — however, it can also generate some rather flat and monotonous pieces, such as “Welcome to the Wastelands”, Kyd’s most ambient composition, which consists of several interweaving, spacious synth pad and a generic electronic beat. Just like a number of other tracks on the album, it suffers from an ambient sound that is too anonymous to make an impression during the piece’s short running time. Which brings us to Sascha Dikiciyan’s and Cris Velasco’s contributions to the soundtrack. Both artists collaborated on each track they composed and were responsible for providing the sound that characterised the game’s antagonists, the bandits. Unfortunately, the musical means they choose occasionally turn their pieces into a bit of a bore, and the fact that their tracks are grouped into two chunks on the score album doesn’t exactly help in masking their genericness. To portray the bandits, the two composers — somewhat predictably — rely on a range of distorted electric guitar sounds, which are meant to add an element of aggression and grittiness to the soundscape. And while they certainly do, the guitars fail to inject the soundtrack’s action material with a sufficient amount of energy or sonic variation after the first one or two such tracks. Usually coupling the guitars with heavy electronic beats and other assorted percussion, compositions like “Removing The Bandit Threat”, “Fighting Sledge’s Minions” and “Smoking Out The Bunker” are functional, but fail to stand out, delivering nothing much in terms of memorable rhythms or instrumental textures. A light choir in the second half of “Removing The Bandit Threat” is a nice addition to the soundscape, but it remains an ephemeral detail. “Welcome to the Bunker”, through its echoing metallic synth sound, successfully paints the imagery of long, dark corridors, albeit through hackneyed means. Things become more interesting towards the end of the soundtrack, when Dikiciyan and Velasco bring some variety to their sonic palette. “Fighting Krom and his Gun” thankfully adds some new, more heavily distorted guitar sounds to the table, together with string accents and live drums, which drive the piece forward through a soundscape that feels a lot less compressed and crammed than on most of the album’s other tracks, making for one of the score’s most interesting and atmospheric action cues. “Trash The Bandits” is marked by occasional dark, majestic synth pads, which add some welcome melodic elements to the composition and imbue it with greater emotional resonance than previous action tracks, despite the piece’s short running time. And while “Burning Rubber and Shooting Bullets” employs the same wailing, distorted, distant guitar sound that most of Dikiciyan’s and Velasco’s tracks share, at least it is more propulsive and blood-pumping than many of their other cues. Raison Varner’s contributions cover more stylistic ground than those of his collaborators — somewhat naturally, considering Varner was responsible for scoring all those bits of the game that were not covered by the other composers. His pieces are a bit of mixed bag, but ultimately manage to entertain and sometimes even impress. His attempts at ambient scoring are hit-and-miss. “Assaulting Krom’s Canyon”, at almost five minutes the soundtrack’s longest track, starts out promisingly, driven by resonant drums and overlaid with sparse orchestral and electronic textures that exude stealthiness and a feeling of sneaking up on the enemy’s headquarters. But while the inclusion of some more percussion layers early on suggests the beginning of a steady build up or at least some instrumental variety, there’s not much development after the first two minutes have passed, and the tracks keeps on meandering for three more minutes, before it essentially finishes where it started off. “Traversing The Deep” will surprise no one through the ways it depicts an underground location — echoing synth pads and voices, combined with fuzzy, swelling, oppressive deep synth chords — but it’s certainly an effective composition, which is given some additional atmosphere through the inclusion of electronically manipulated, ethnic woodwind instruments and strings. And “Travelling To The Vault” is nothing short of spectacular. Underscoring the approach to the mysterious alien structure, which is at the heart of the Borderlands’ narrative and the goal of the gamer’s journey, the piece uses haunting, wordless, operatic alto vocals to mesmerising effect and sets them against a mysterious, yet majestic synth background, with some more melodic elements introduced through ethnic woodwind solos. It is this track which impressively demonstrates the potential inherent in the composers’ eclectic, ambient approach; but at the same time, it also make clear that this potential is only rarely completely fulfilled on this soundtrack. Varner’s combat tracks rank among the score’s more interesting action material. “The Rakkhive Emerges” and “Battling Kron’s Minions” display Varner’s ability to effortlessly switch between ethnic and electronic elements, to play with different textures, and as a result to generate a more varied and involving listening experience than Dikiciyan and Velasco’s compositions do. Additionally, “The Rakkhive Emerges” incorporates some playful sound effects and classic orchestral elements that Varner deploys in other tracks as well — particularly single, swelling brass chords — which add to the cue’s appeal. 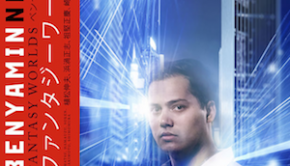 “Destroying the Destroyer”, the score’s final action piece, unfortunately fails to live up to expectations, raised by Varner’s own “Travelling To The Vault”, which precedes this track. Driven by more drums and heavily compressed electronic sounds, it tries to convey a feeling of urgency and finality through a generic, ostinato string motif, which gradually pushes its way into the foreground of the track’s soundscape, while moving upwards in pitch, before the cue abruptly ends — hardly a grand finale to the gamer’s journey and the soundtrack. Before moving on to the soundtrack’s bonus tracks, some praise needs to be given to Varner’s remaining compositions, which add some interesting elements to the score’s instrumental palette. “Enter Skag Gully”, apart from the soundtrack’s usual palette of ethnic and electronic sounds, features a beautiful, melodic solo for violin, which is given a unique, manipulated sound, making it seem a bit scratchy and distant. 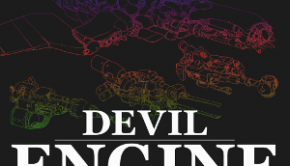 The soundtrack would have greatly benefited from more inspired experiments like this. “Fighting Off The Skags” is another combat track driven alternatively by heavy electronic beats and ethnic percussion, while spicing things up with some Mongolian throat singing. It feels a bit gimmicky, but still makes for an intriguing listen. Just like the score, Borderlands‘ bonus tracks are a bit all over the place in terms of their quality, but they do add some substance to the soundtrack by including a number of tracks that give the composers the chance to present a different side of their approach to scoring the world of Borderlands. 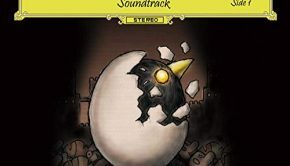 It remains unclear though whether Varner was referring to these tracks when he said during an interview that the score album contained music that wasn’t used in the game after its art style had changed during development. Kyd’s “Bring Your Guns” is somewhat more upbeat than his previous pieces, incorporating a didgeridoo and ethnic solo flute over a rich bed of live and synthetic percussion, emitting a tribal atmosphere. Dikiciyan and Velasco surprise the listener by taking a much more cinematic, expansive and colourful approach in “Borderlands” than in their other compositions. “Exploring Outlook” is a nondescript, short ambient piece, but the composers’ “The Threat At Overlook” earns points by including an ethnic woodwind instrument that has been distorted and manipulated beyond recognition and made to sound almost like a distress signal. The bonus tracks also include composer Tim Larkin’s only two contributions to the soundtrack. Based on these two cues, it’s difficult to make an informed judgement about how his compositions may have contributed to the score, had he been involved with the final product. “The Old New Haven” features a melancholic, almost noirish saxophone solo against a percussive background, but “Exploring the Mine” only contains more generic ambient and action material. There is much to like in Borderlands‘ soundtrack: the numerous cooks don’t spoil the dish, as the composers’ compositions come together nicely, each of them taking a different approach to using the score’s varied instrumental palette of world, rock and electric elements. The results of these approaches vary in regards to their quality. Kyd’s tracks usually set the scene quite effectively and sustain their length rather well. Dikiciyan’s and Velasco’s compositions too often sound generic in their evocation of a gritty, futuristic threat and only provide the occasional highlight. Varner provides some of the most interesting instrumental textures on the soundtrack, as well as its one standout track (“Travelling To The Vault”), but some of his action and ambient material falls rather flat as well. Given the high profile of the composers involved in this project, and the fact that the score’s soundscape — while not being exactly unique — is still quite original, it seems there’s quite a bit of unfulfilled potential in this soundtrack. Ultimately though, the quality compositions outweigh their less fascinating brethren. Listeners interested in an often successful marriage of the stylistic elements described above should give this a try, but don’t expect to be enamoured all the way through. Posted on August 1, 2012 by Simon Elchlepp. Last modified on January 23, 2016.